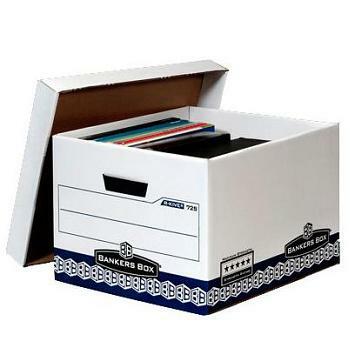 Pack of 20 Storage Boxes. 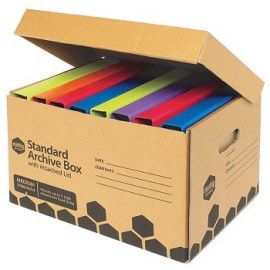 Standard strength archive box for everyday light-duty use. 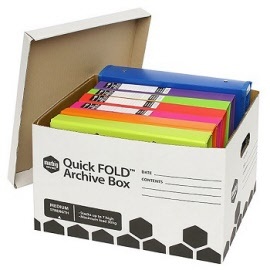 Stacks 2-4 units high. 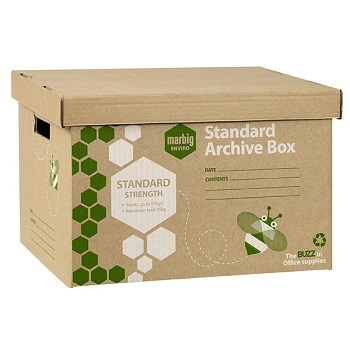 Strong burst resistant archive box designed for regular access and transportation of a mid-weight load - Stacks up to 7 units high. 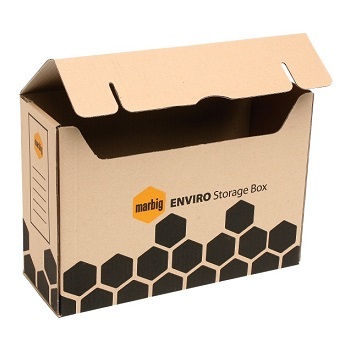 External Size (H x W x D) - 260 x 305 x 400 mm - Max Load 25kg - White/Black. 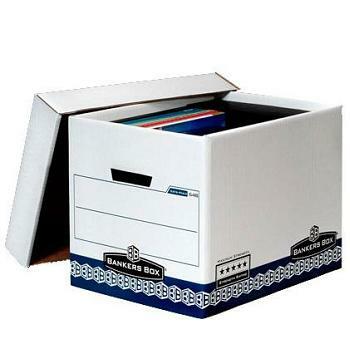 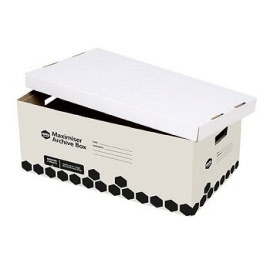 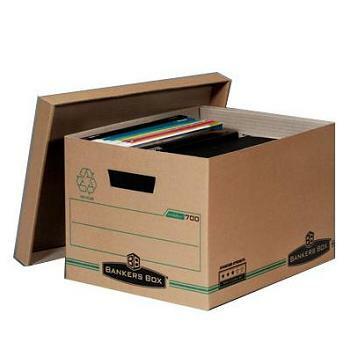 Maximum strength archive box ideal for bound reports, computer printouts and designed for regular heavy-duty use. 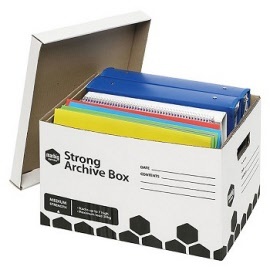 Stacks 6-10 units high. 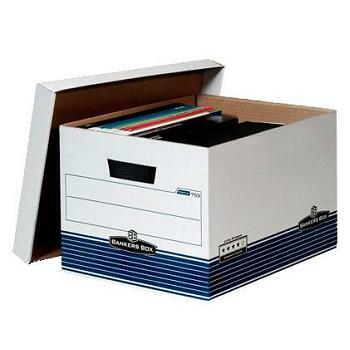 Internal Size (H x W x D) - 322 x 320 x 420 mm - Max Load 35kg - White/Blue. 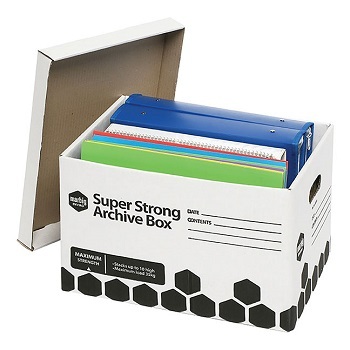 Extra strength DOUBLE SIZE archive box for everyday medium-duty use. Stacks 4-7 units high. 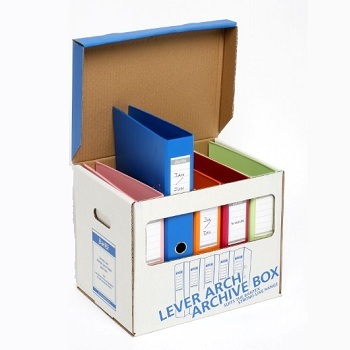 Internal Size (H x W x D) - 255 x 385 x 620 mm (Double the length and capacity of regular archive boxes) - Max Load 35kg - White/Blue. 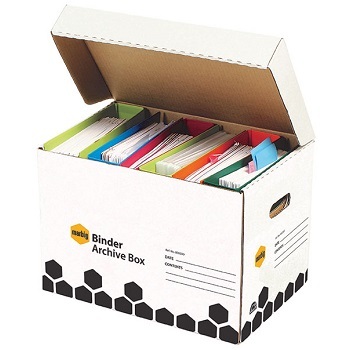 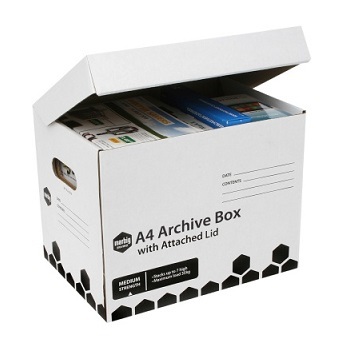 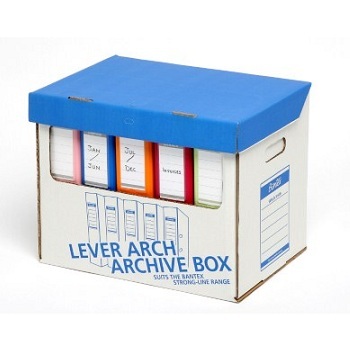 Compact size archive box designed for storage of A4 papers and files. Stacks up to 7 high - Max Load 30kg - White/Black.